February 22nd is National Margarita Day! Did you know they have a day dedicated to Margaritas? Well I didn't! The weather along the whole east coast has been pretty chilly this week. I mean, single digit chilly! Not what I would consider Margarita weather! Margaritas always conjure up recollections of long, hot summer days and the beach! Sitting on my back deck with a frozen Margarita in my hand, on a hot summers day, is a blissful experience! There are so many ways to enjoy Margaritas...on the rocks…frozen…salted...sour or sweet. Margaritas come in a variety of styles and flavors! Needless to say, I was thrilled when the award winning Casa Noble asked me to come up with my take on a Margarita. My favorite Margarita is frozen…like a slushy! Even though it’s pretty cold to be drinking slushy fruit drinks on the east coast…It’s gotta be hot somewhere! So, as I sit by my fire place enjoying this wonderful Frozen Raspberry Margarita, I dream of sitting on the beach, on a beautiful tropical Island, where the temps are in the 90’s! Cheers everyone!! One more thing! Here’s a fact about the lady who this drink was named for. A socialite, named Margarita Sames, created the original Margarita in 1948. According to legend, Margarita began experimenting with “the drink” while she was hosting a party in her Cliffside hacienda in Acapulco. She was looking for something to cut the dust of a hot afternoon. That’s when she mixed Tequila, Cointreau and fresh lime juice together. Her cocktail concoction kept the party going for two weeks! Today the Margarita is the #1 most popular cocktail in the U.S.
Hope you’re enjoying a luscious Margarita to celebrate the day! Place the ice in a blender and pulse several times to begin breaking it up. Add the raspberries, sparkling water, simple syrup, Chambord, 2 tablespoon of the lime juice, and the tequila; blend until thick and smooth, about 30 seconds. Pour the remaining 1tablespoon lime juice into a small saucer. In another saucer, pour a thin layer of salt mixed with the sugar (table salt is fine, kosher salt even better). Dip the rims of four margarita glasses in the lime juice, and then in the sugar-salt mixture. Pour the mixture into the salted glasses. Garnish with lime wedges, and serve. Disclosure: This post was sponsored by Casa Noble Crystal Tequila however, the thoughts and opinions expressed here are my own. 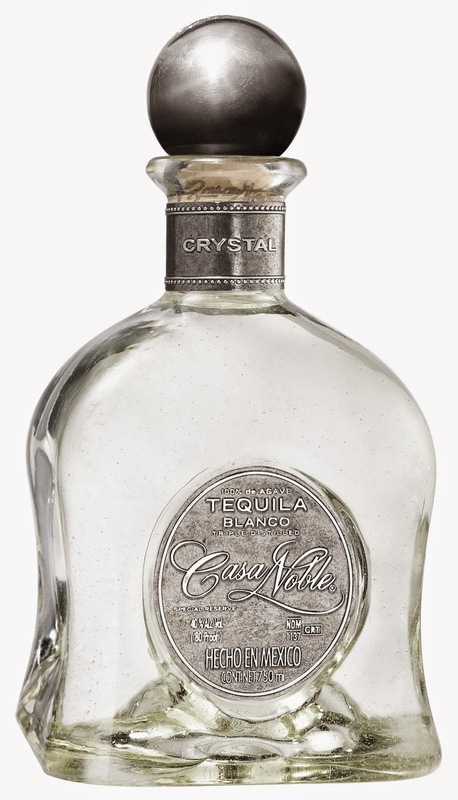 Casa Noble Crystal Tequila is a well balanced smooth tequila with the wonderful aromas and flavors of raw and buttery sweet cooked agave, mango and a hint of citrus. National Margarita Day - what a wonderful idea. I have never had a raspberry margarita before - these look so pretty. I enjoyed quite a few Margaritas when we were travelling on Route 66 last year - and they are so cheap in the US compared with here. Didn't even know there's such a Margarita Day...they look so beautiful! Wow, i love margaritas, frozen drinks, chambord, raspberries... I might as well dive into that glass Kathy! And it's summer here! Gorgeous recipe. Love me some margaritas! We frequent an establishment, not for their food, but for their margaritas! The food is second thought - ha ha. Happy margarita day to you! It's so funny, I saw this post last night but it wasn't up yet, lol...I actually did a post today for Margarita Day too and included s bit of history on the makings of a Frozen Margarita and the machine used to make them. Thanks for sharing, Kathy! Happy Margarita Day!!! Margarita is one of my favourite drinks, I also prepare it with frozen raspberry because its available almost in every garden Here. Cheers my friend, you and me need a cheer up from this cold weather and frigid digits... again tomorrow is -45C . How did I miss Margarita Day! I love them, but have never tried raspberry. I got about a cup of extra raspberries last summer for freezing--hopefully more this year! Can't wait for summer to come to be able to enjoy these delicious margaritas!